In Fragrant: The Secret Life of Scent, Mandy Aftel offers intriguing insight into world cultures through the history of five key scents. 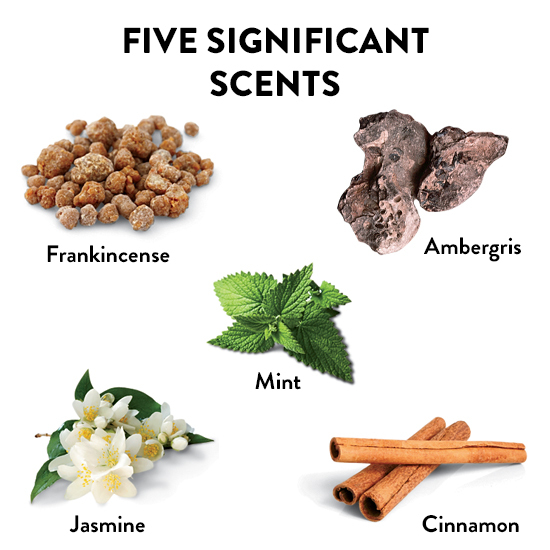 In Fragrant: The Secret Life of Scent, Mandy Aftel offers intriguing insight into world cultures through the history of five key scents—including why mint tea is a sign of hospitality in the Middle East, and how the Dutch policed the cinnamon black market in Ceylon. A kit with mint and cinnamon essences will accompany the book when it’s out next month. aftelier.com.